I thoroughly enjoyed ‘Regeneration’, a play based on Pat Barker’s World War I trilogy of novels set in Craiglockhart, a military hospital in Edinburgh, treating officers sent back from the trenches with shell shock. It’s currently on tour, and I saw it at the Everyman Theatre in Cheltenham. I haven’t read the books, so I can only judge it as a stand-alone play, but on that basis it worked really well. It had a good dramatic structure, some impressive effects with nightmares, apparitions and sudden recall of the trenches (but not too much of this), and some good dramatic devices. The cast was uniformly impressive, the direction was good and it’s a well written play. 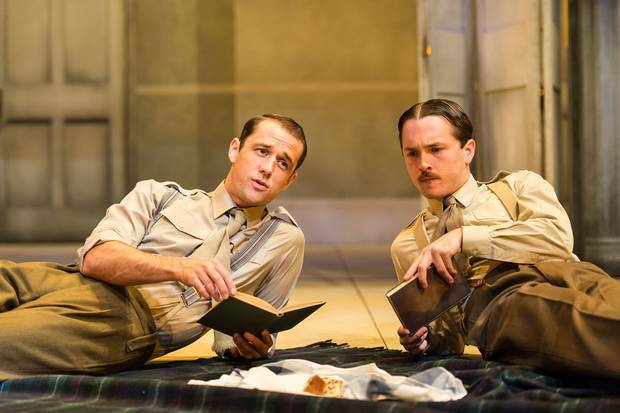 The play highlights the relationship between Siegfried Sassoon and Wilfred Owen, who really did cross paths in the hospital in 1917, but it’s about much more than that. It flirts with several different themes before finally absolutely nailing one. There are hints at homosexuality, but that’s not what it’s about. There are hints at heterosexual relationships too, with regular references to girlfriends and wives, but none of them appear (it’s a very male play), so it’s not about that either. It’s certainly partly about class, both within the officer class and between them and the other ranks. The public school background of Sassoon is balanced with Prior who’s come up through the ranks with little education, and Wilfred Owen somewhere in the middle. All of them though can enjoy, at least temporarily, a lifestyle that includes sessions on the golf course and invitations to dine at the Conservative Club – options that were unlikely to be available to privates suffering from shell shock. Of course it has some focus on poetry too, but it’s not really about that. Owen brings his latest draft of a poem to Sassoon, who quickly scans it and suggests changing the odd word here and there. I’m no poet myself, but I’m pretty sure that’s not how the creative process in poetry works. 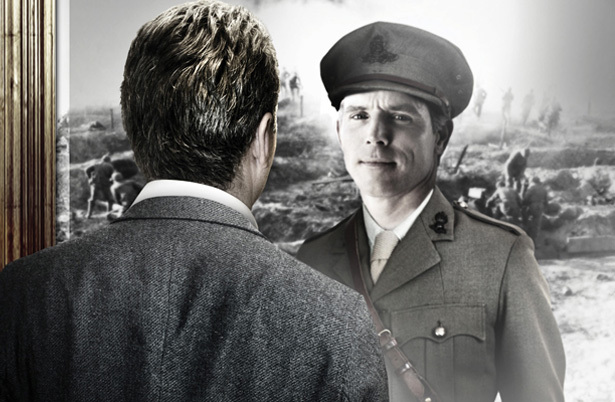 Perhaps a little more realistically the play looks at the attitudes of the time to shell shock and what later became known as post-traumatic stress. It draws a dramatic contrast between the progressive regime at Craiglockhart and the entirely unsympathetic treatment elsewhere, that was little more than subjecting patients to torture. The torture is not shown as ineffective, just inhumane, while the morality of even the more humane methods still comes in for questioning. Success for the hospital consists in getting the officers sufficiently cured to be sent back to the front, where their chances of survival for more than a few months will be low. Rivers, the progressive head of the hospital, is increasingly troubled by this and does what he can to keep his patients out of the line of fire. But in assuaging his own guilt, he only succeeds in increasing their guilt. And in the end it’s in the focus on guilt that the play really hits home. The war seems to generate guilt for everybody – guilt that they’re letting their colleagues down, or that they won’t be able to face up to the ‘What did you do in the war?’ question when it’s all over. Even guilt for the poets who feel the need to record what’s going on. Having encouraged Sassoon to return to the front, because ‘there need’s to be a poet there’, Wilfred Owen then hears that Sassoon has been invalided back. It’s the cue for him to volunteer himself to return, where he is killed just a week before the armistice, of course triggering more guilt for Sassoon. Posted on October 27, 2014, in Theatre and tagged Craiglockhart, Everyman Theatre, Nicholas Wright, Pat Barker, Regeneration, Siegfried Sassoon, Wilfred Owen, World War I. Bookmark the permalink. 2 Comments.